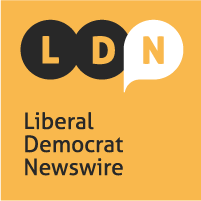 Liberal Democrat Newswire #103 came out last week, including an exclusive piece from Lib Dem leader Vince Cable on the roots of his political views and a piece on what next for Brexit from journalist Ian Dunt. As ever, if you enjoy reading these newsletters, please do encourage your friends or colleagues to sign up. All the more so if any of them are in Scotland, where readership is lower than in other parts of the country which are closer to my home, and so where I pop up at events more often spreading the news about Lib Dem Newswire. PS Want to change your email address? Did this email start with getting your name wrong or just ‘dear friend’? You can update your setting here. Placing Vince Cable on the left-right political spectrum never quite works because he combines both a passion for intervention to deal with market failures with a suspicion of the failings of big government. The roots of that combination are well illustrated in his excellent memoirs, Free Radical. They highlight how his work on development issues in Africa helped give him both those passions – seeing both the need for action and the consequences of government failure. Writing here exclusively for Lib Dem Newswire, Vince Cable sets out the roots of his political views in more detail. My earliest political views were a reaction to the extremes I encountered growing up. My father was an upwardly mobile, working class, Tory who sought to inculcate some good values (hard work, thrift, respect for the law) and some bad ones (racism, which split the family when I married an East African Asian, my late wife Olympia). He died after contracting pneumonia delivering leaflets for Mrs Thatcher in the snow. 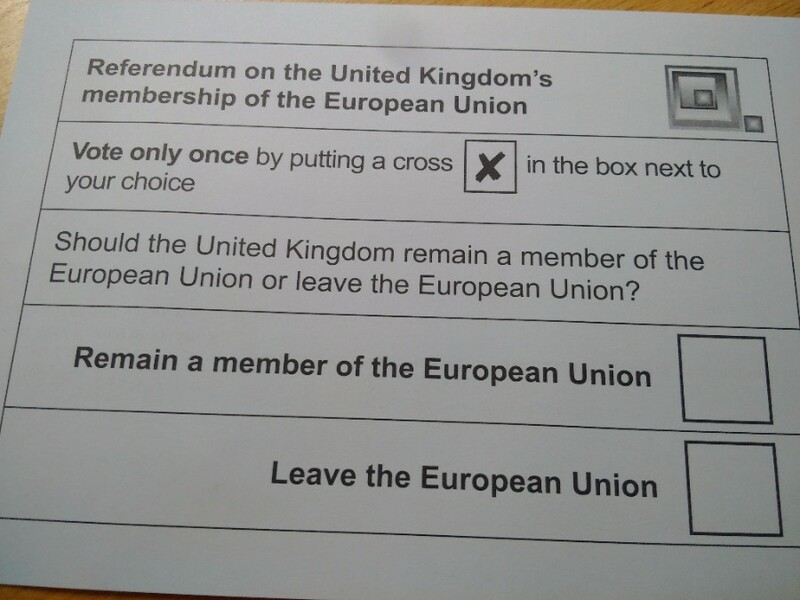 My mother secretly voted Liberal, defying his instructions to vote Tory. My best teenage friend was a card-carrying Communist like his father, a shop steward at York carriage works. His revolutionary zeal got him expelled from college, allegedly for arson. He tried to re-educate me in sound ideological principles but concluded that I was a ‘bourgeois liberal’ with Menshevik tendencies. When I went to university I sampled both the Liberals, becoming their President, and also a student branch of the social democratic wing of the Labour party. Sensing that they were saying the same thing but using different language, I tried to achieve a merger. Both sides were outraged and the merger collapsed ignominiously, 20 years ahead of its time. I joined Labour, beguiled by Harold Wilson’s white-hot technological revolution. I moved on to Latin America where the fashionable nationalistic ideology of ‘self-reliance’ merely entrenched vested interests and reinforced extreme and often appalling inequalities. Much of my development writing would now be described as ‘neo-liberal’ but I think is right in that context. The country which most influenced my thinking was India which I have visited many times over 50 years for family and professional reasons. I have seen India’s remarkable transformation, much of it based on the adage that ‘the economy grows at night, when the government goes to sleep’. I have always been torn between torn between my admiration for India’s democratic and dynamic ‘anarchy that works’ and my admiration for the technocratic revolution in modern China which has produced an economic, poverty reducing, miracle, albeit seriously illiberal. Between the travelling I got involved in British politics and became a Labour councillor, helping to run Glasgow. The establishment was pure Tammany Hall, so I moved to the Left where the idealistic and capable people were. I marched proudly down Sauchiehall Street alongside the charismatic Communist leader of the shipyard workers, Jimmy Reid and Tony Benn, and contributed to Gordon Brown’s Red Papers on Scotland. I led a somewhat schizophrenic existence teaching students Adam Smith’s economics in the morning and practising municipal socialism in the afternoon. I found a more comfortable place campaigning for Britain to join the EU alongside Labour figures like John Smith, for whom I later worked as a Special Adviser, and Liberals like David Steel. My Fabian, centre-left, eclectic, version of social democracy didn’t long survive a move to London where the Militant Tendency and assorted Trots, including today’s leadership, were in control of the Labour Party. In the civil war which followed, I joined the SDP, albeit after some heart-searching, unsuccessfully contesting my home town of York in the 1983, and then the dispiriting 1987, election. In the long period in the political wilderness before becoming MP in Twickenham I had two other formative political experiences. One was spending several years working on global environmental issues in the late 1980’s: helping to write the Brundtland Report on Sustainable Development and then one of the first intergovernmental reports on climate change. The other was when Shell recruited me into their long-term scenario planning team, later to be Chief Economist. I found the management culture admirably professional and honest, albeit conservative, and I like to think I helped to steer them towards a future in emerging economies and to a greater sense of social and environmental responsibility. For the rest, my record as a Lib Dem MP after 1997 is reasonably well known. As an economic spokesman, my approach initially reflected the social liberal consensus of the time. The financial crisis changed everything. My intellectually eclectic background in economics helped me to see ahead and better understand the nature of the crisis, to write coherently about it – in The Storm – and to advocate correct but controversial measures like nationalisation of the banks and the taxation of property wealth. The Coalition was a classic head-heart dilemma. My head told me that joining the Coalition was right and that we had no alternative but to address the massive budget deficit which was the legacy of a crisis of financial capitalism. My heart was definitely not with the Tories. But I found a useful role as an interventionist Business Secretary promoting industrial strategy and state-led banking, German-style innovation and training policies and applying a pragmatic, problem solving, approach to government. In a sequel to The Storm – After the Storm – I set out where I think we should be going as a country, now, in terms of economic policy. There is one more important strand in my approach to politics. I have long been interested in, and worried about, the politics of identity. Bringing up a multiracial family and fighting racism; experience of the tangled web of religious sectarianism and incipient nationalism in the west of Scotland; immersed for over 50 years in the movement to anchor Britain in Europe: these have been major, often dominant, concerns. I wrote the first of two pamphlets for Demos in the mid-1990’s on identity politics and have seen its growing influence, culminating in the Brexit vote. My first venture into fiction, the novel Open Arms – due out in a few weeks – involves the interplay of identity politics and personal relationships. And in the real world, I anticipate that the future of the UK and our party will be determined by whether national identity or a broader, more outward-looking, more European, view of the world dominate politics. 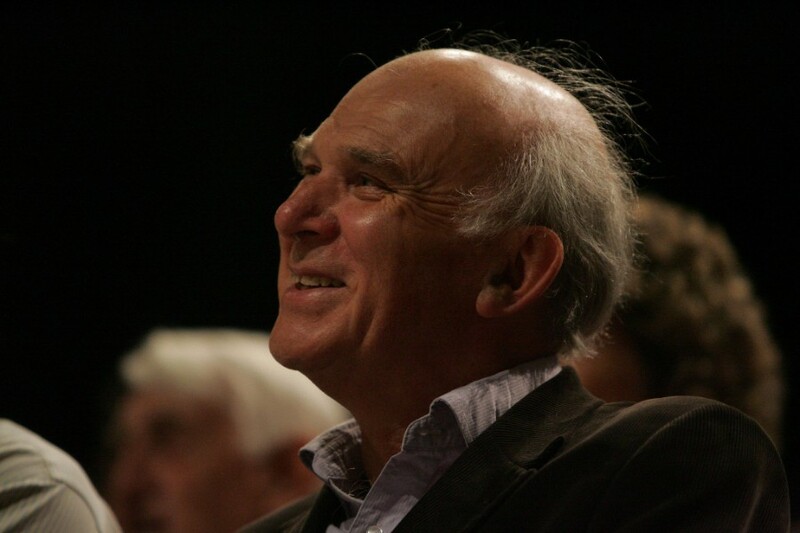 You can read Vince Cable’s manifesto for the Lib Dem leadership election in full here. Wherever you looked, Brexit broke something. It broke the political consensus on things we never thought we’d challenge, like the dominance of the financial sector or the acceptance of social liberalism. It broke us off from our largest trading partner. And it even broke many families apart. But one of the most significant breaks was with our sense of reason. That’s not to say you can’t be reasonable and back Brexit.You can be. There are many valid arguments against the EU and some are even powerful enough to warrant justifiably wanting to leave it. But the debate during and after the referendum wasn’t one on contested theories of sovereignty or global trade regulation. It was a hissy fit of national proportions. British political culture became the constitutional equivalent of a child rubbing food on its face and screaming. Senior political figures would put forward mutually incompatible statements with no evidence that they were possible and no interest in finding out. Advocates of hard Brexit would shut down debate and treat critics as traitors. And through it all, you could see the British ministers preparing to blame EU officials for their own mistakes when it all inevitably came tumbling down. 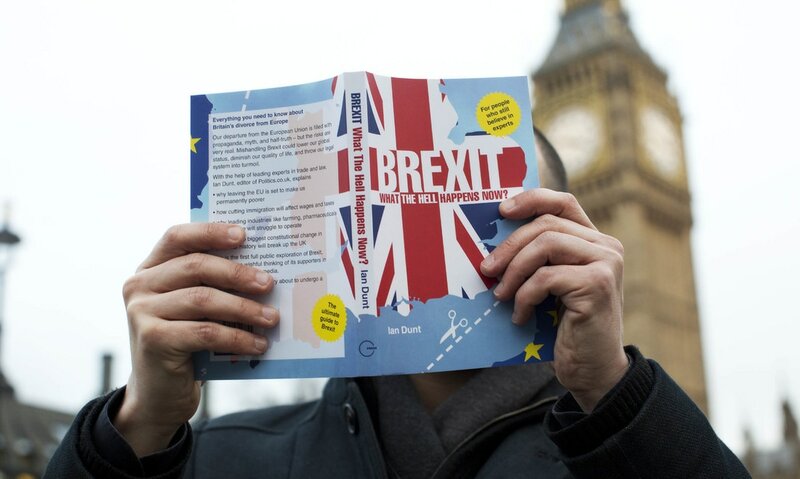 Brexit: what the hell happens now? is an attempt to address that. It is not a polemic, or even really an argument. It is simply an account, based on conversations with lawyers, trade experts, academics and economists – the experts Michael Gove dislikes, basically – of what happens next. It is an attempt to use reason and empiricism in what has become a shrill and nonsensical debate. At the moment, that alone feels like a radical act. 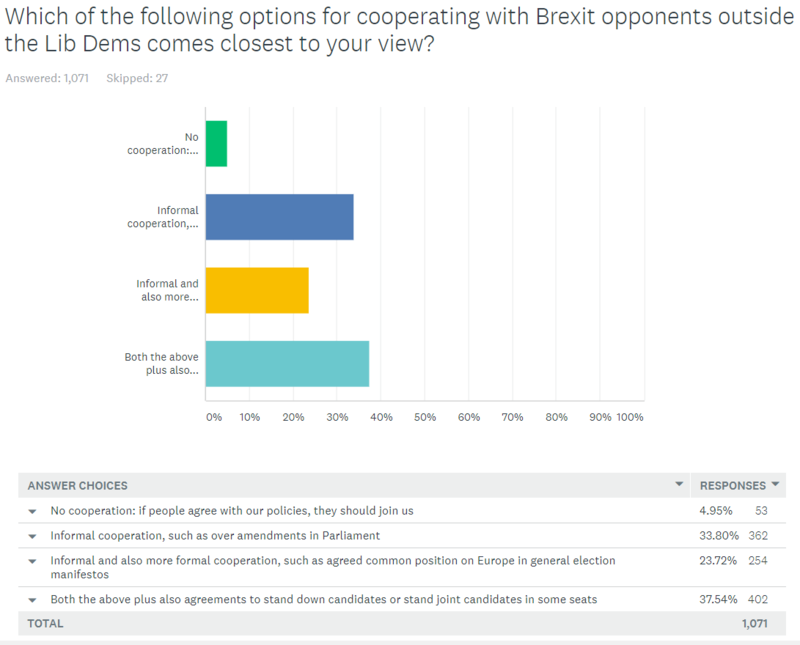 Back in the spring, I carried out a survey of Liberal Democrat members, looking at what they thought should be the party’s position on Europe and whether there should be cooperation with other parties to help oppose Brexit. Has the experience of the 2017 general election changed views? Not really. A repeat of the questions asked earlier has found a very similar picture save in one respect. Not surprisingly, the proportion of members thinking the party is headed in the right direction has dropped from 92% to 67%. They’ve not switched to thinking its heading in the wrong direction (that’s only risen slightly from 3% to 8%) but rather there is now a large chunk who say ‘not sure/don’t know’ (25%, up from 4%). 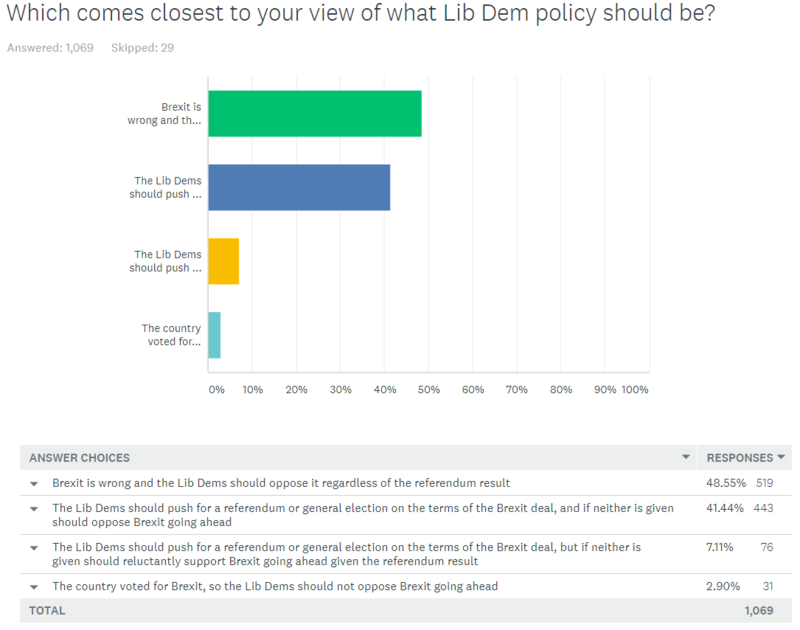 Otherwise, Lib Dem members continue to strongly back opposing Brexit (though with a shift towards supporting opposing it outright, rather than via having a further referendum or general election on it). Members also continue to strongly support some form of cross-party cooperation to oppose Brexit (though with a dip in support for formal seat deals). One of the pieces of rapidly established conventional wisdom about the 2017 general election is that Labour did so well because people weren’t expecting Labour to win. People had big doubts over Labour as a government or Jeremy Corbyn as a Prime Minister, but people were expecting a Conservative victory people and therefore, the argument goes, voted Labour despite these concerns in order to give the Conservatives a bloody nose and clip their wings. But is this true? In short – no. The evidence comes from the British Election Study shows the opposite was true: “Although undoubtedly there were some people who voted Labour because they thought they could not win the election, the evidence is very clear that this was not true in general. 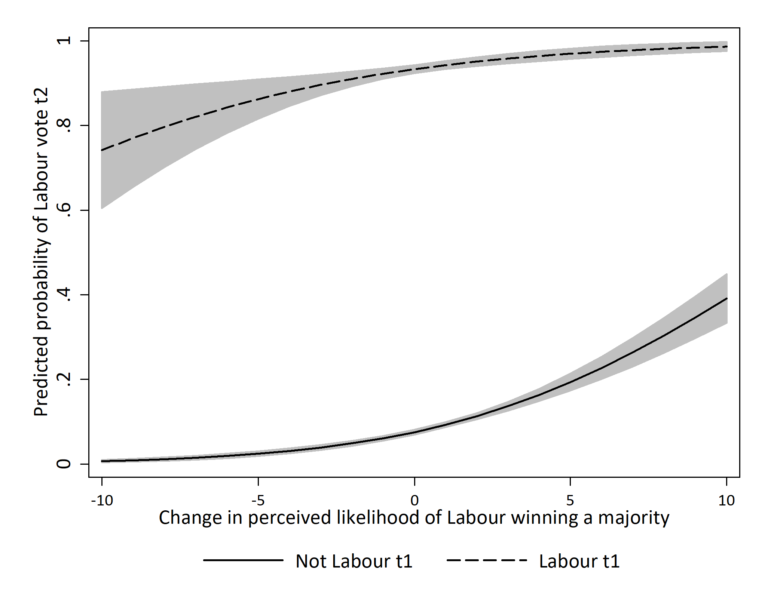 Indeed the opposite is the case – the more likely people thought Labour’s chances of winning the election were, the more likely they were to vote for them”. Aside from its importance in its own right, this finding has a particular relevance for understanding what happened to the Liberal Democrat vote and the failure to win over more Remain supporters. There wasn’t a shortage of people who thought a referendum on the terms of Brexit a good idea. Nor was there a shortage of people who thought Brexit was the most important issue. 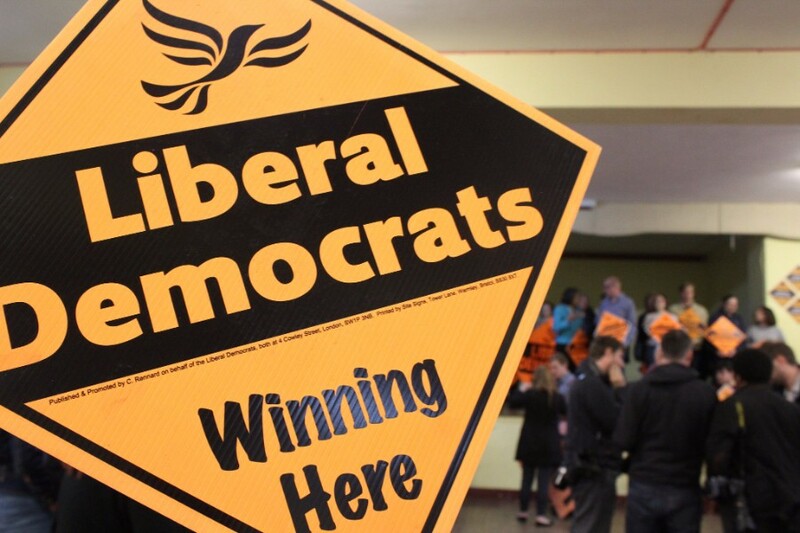 But what there was a shortage of was people who thought the Liberal Democrats could do well enough for a vote for the Lib Dems to be an effective pro-European vote. Instead, with the chances of a Labour victory rising, many Remains thought that voting Labour was the better bet for the Remain cause. Yes, Labour may have been led by a life-long Eurosceptic who went on holiday for a key part of the European referendum campaign. But Labour were still not the Conservatives – and so many Remainers thought that the best way of restraining the power of Hard Brexiters in the Conservative Party was to reduce or even remove their power by voting Labour. There are two conclusions to draw from that. One is that the problem for the Lib Dems was not so much one of the line on Europe as of the absence of political momentum, leading to Remainers to vote for a less pro-Remain but more politically more successful party instead. The second is that the logic of the first point works for voters who were fully aware of Labour’s shortcomings on the pro-Remain front. The tendency of some to assume that Remainers who voted Labour were ignorant, stupid or both is great if you want to feel morally superior, but dangerously elitist if you want to work out how to do better next time. It’s not that voters were stupid; it’s that they made a logical choice. If you don’t think the party that most closely matches your views is going to win, you instead pick the lesser of two evils amongst the other parties. That is, after all, the logic by which Lib Dems often appeal for tactical votes from supporters of other parties. This time, however, the tactical voting was not a local constituency choice based on previous election results; instead, it was a national political choice based on issues. 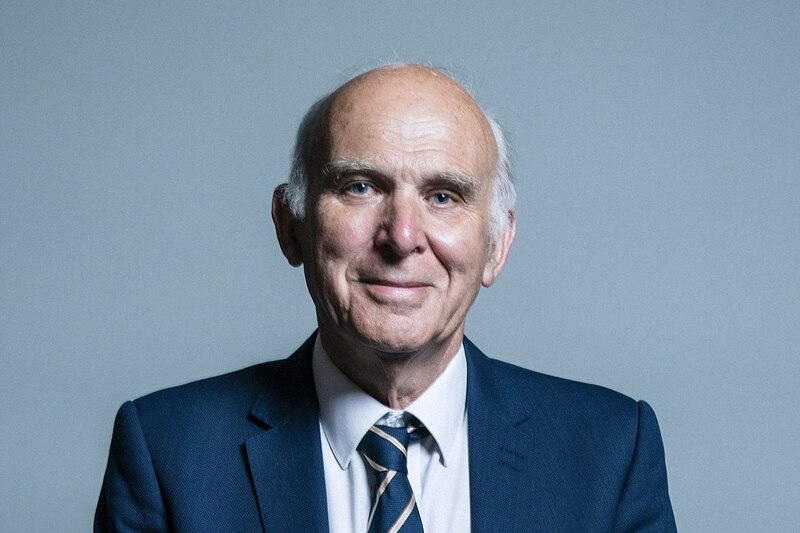 Vince Cable’s official parliamentary portrait, by Chris McAndrew, June 2017; released under the Creative Commons Attribution 3.0 Unported licence, a cropped version of which is now used on Vince Cables’s Wikipedia biography. Andy Mabbett is a freelance consultant on matters relating to Wikipedia and to open content. He has been a Wikipedian in Residence with a number of museums, galleries and learned societies. He regularly uploads his pictures under open licence. Every month, Wikipedia pages using his images are viewed around two million times. He is happy to advise bodies thinking of open licensing their media and writes here for Lib Dem Newswire about how you too can help put photographs to good use. Over five years since I urged them to do so, Parliament has finally made portrait photographs of MPs freely available for re-use under what is known as an “open” licence – in other words under terms that allow anyone to reuse them, even in a commercial setting like a newspaper, for no more recompense than a statement of that licence and attribution to the photographer (see the example used above). In this case, the photographer is Chris McAndrew, who has done a superb job capturing 620 available MPs in just two days – less than two minutes each. I and my fellow volunteers are now adding the images to Wikipedia, allowing its readers to recognise many MPs for the first time, and in other cases replacing the poor-quality and outdated images that were the only ones previously available under an open licence. Sadly the majority of public bodies still do not release images under open licence. Local councils, police forces, health services and other bodies are happy to share pictures on social media, but labour under the misapprehension that they have a monetary value far in excess of their worth in goodwill and increased public outreach – and which is often less than the cost of collecting it. A few years ago, for example, I asked the Metropolitan Police to openly release some images of London landmarks, taken by their helicopter crews, so that I could use them on Wikipedia. They sent me a rate card, showing how much I would have to pay to use them – and ignoring the Wikipedia policy of only using (with a few exceptions, like book jackets) openly licensed images, so that members of the public can reuse Wikipedia content freely. We need politicians to ensure that, as a matter of policy, images whose copyright their organisation owns (for example, those taken by staff in the course of their duties; or – like the parliamentary portraits – commissioned with copyright transfer contractually included) are released under open licence. And, while it’s important to have portraits of councillors, executive officers and others who wield power, pictures of buildings, plaques, equipment, vehicles, events and everyday activities – anything with an historical or educational use – are also invaluable. Individuals too, can release their images under open licence. So why not start taking a few snaps the next time you have a day out, or on your lunch break at work, and share them openly? Perhaps the British government’s Brexit strategy is not in chaos but is in fact cunningly using apparent chaos to pull off a negotiation masterstroke in the Brexit talks this autumn? I doubt it, but in the spirit of not being trapped in a filter bubble, I offer you this Politico piece. Why being a centrist party didn’t help the Liberal Democrats: there’s much in this piece from a then Labour pollster I disagree with, but the results of two general elections since it was written certainly chime with the point that simply appealing to the centre ground isn’t a viable strategy. 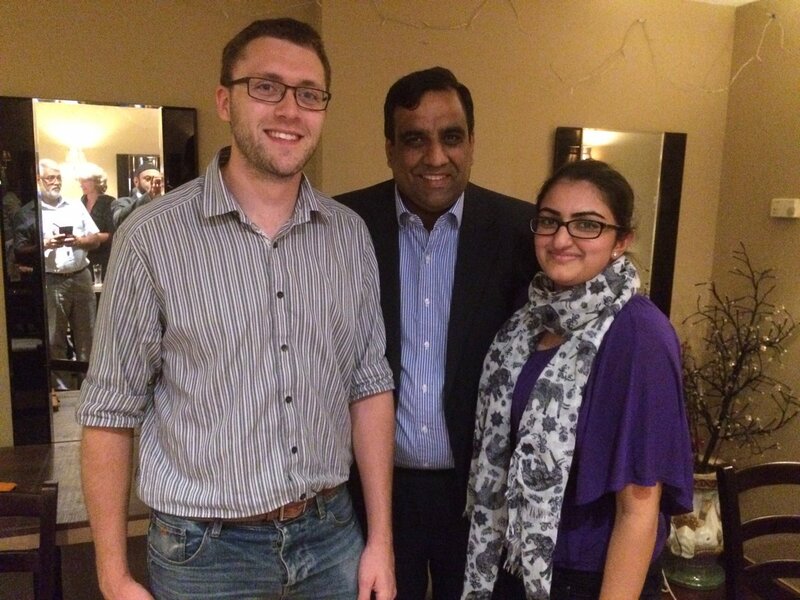 Dipa Vaya is the Diversity Officer for Watford Liberal Democrats. Here she writes about what the party can do to improve its diversity. Vince Cable has been calling for the party to improve its diversity. This isn’t the first time we’ve heard a leader mention improving diversity. Tim Farron also said this. How can we make sure then that real progress happens during Vince Cable’s leadership? For me, a major factor is that we not only once again have a deputy leader, but also in Jo Swinson we have a shining beacon on diversity issues. The Liberal Democrat website’s Diversity and Inclusion page makes explicit our aim to build, “a society that is fairer for everyone, regardless of background, ethnicity, gender, sexual orientation or any other part of an individual’s identity”. In order to achieve that, we need to make diversity and improving diversity a priority, so that we can successfully engage with people from diverse backgrounds. For example, how we address discrimination and sexual harassment within the party is crucial to encouraging people from diverse backgrounds to stand as candidates and get involved. I completely agree with this statement, but what can people in local parties do help make this happen? An initial starting point could be to build a team that initiates ideas to engage with current and possible future members, councillors and local election candidates. Here in Watford Liberal Democrats we have a Diversity Officer. In carrying out this role, I ensure my local party publicises diversity days on social media. For example, this can be as simple as Dorothy Thornhill (Mayor of Watford) wishing communities in Watford Shanah Tovah (Jewish), Muharram Mubarak (Muslim), and Happy Navaratri (Hindu). I introduced ‘diversity events’ such as our recent Diversity Dinner with Shaffaq Mohammed (Leader of Sheffield Liberal Democrats) and Watford Liberal Democrats’ first International Women’s Day event, with Belinda Brooks Gordon. As our Mayor, Dorothy is keen to ensure that the Liberal Democrats reflect and represent all communities in the town. At the moment, I’m currently working closely with the Mayor to find more diverse candidates. As Jo Swinson said, “we need to get serious about diversity”. However, we also need a strategy, comprising communications and policies to be inclusive with our membership. I am optimistic for Vince and Jo ambitious plan to engage our membership and to make the party more inclusive. I’ve often made the point about not only how important it is to stand candidates in all local elections but also what a great opportunity an unwinnable council by-election is, even for the smallest and most stretched of local parties. In a recent council by-election in south west London, the local party very much took to heart the idea that there is much you can get out of by-elections even if victory looks improbable, so I’ve asked Anthony Fairclough from the local team to write about they did and why. Here’s what he had to say. In the last few days before the general election, it became clear that Labour’s Wimbledon Parliamentary candidate was being investigated for alleged “dishonesty” with regards to his work. A week after the result, he announced that he needed to devote his time to his appeal and resigned as a Merton councillor. His ward, Merton St Helier is a (currently) safe Labour ward in Mitcham & Morden constituency. It takes its name from a pre-war housing estate split between Merton and Sutton. A 2016 by-election had given Labour 71%, with us trailing in fourth on 3% and our support was slightly lower still in the ward in the general election. We have no recent record of activity in the ward. But with parliamentary boundary changes, St Helier is likely to end up in the Sutton & Cheam successor seat, making this ward more important to us than it might seem at first glance. So we decided we could use this by-election to test out some ideas and to have some fun. We decided to focus on gathering data and testing our political messages with both left-inclined voters and with EU nationals. Our candidate Geoff campaigned for a “fresh start for St Helier”, with voters asked if they were happy with the area and the council. We identified that we could easily deliver three or four pieces of literature to one of the four polling districts. The remainder of the ward would receive the same messages with an equivalent number of geographically targeted Facebook ads – putting to the test the relative impact of leaflets and digital adverts with this A/B testing. A direct mail drop would also be delivered to all EU nationals in the ward. Ultimately, we had capacity to deliver to most of a second district too. 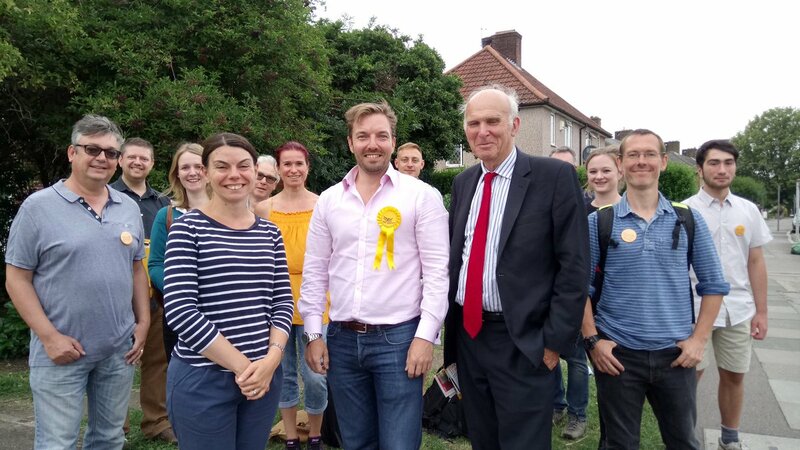 We managed to carry out a knock and drop survey in most of the two districts, and in the final week, Vince Cable and Sarah Olney came down. On polling day we had telling at the polling station covering the two districts we’d delivered, a round of knocking up, and some handing out leaflets to commuters. Local phone canvassers supported by ALDC called those on our shuttleworth – and EU nationals – across the ward. When the results came in, a Labour councillor told one of our counting agents that they wanted to reduce us to our lowest ever share in a council by-election. Pleasingly, we doubled our General Election share, achieving 5% and third. But the box counts told an even better story. Just over 13% in the district that had received all literature and the bulk of the door-knocking/knocking up, 8% in the second district that had received some literature/door-knocking and under 3% in the districts that had just had Facebook advertising (which was well pretty well “seen”). In due course, we’ll also be looking at the marked register, especially to work out the impact of our direct mail to EU nationals. One of the Tory counting agents indicated he might want to defect to us, so impressed he’d been (no seriously!). If you’d like more detail on the literature, messages and digital work, please contact me on anthony@mertonlibdems.org.uk. Meanwhile, through July and early August the party’s opinion poll ratings have been flat, ranging between 6% and 9%, with an average of 7%. 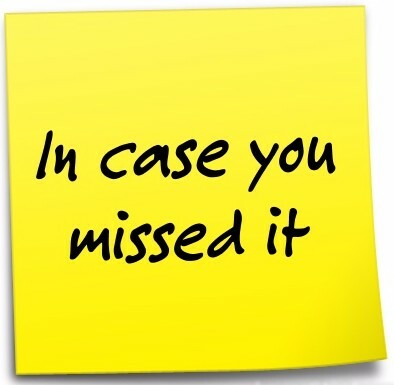 You can get the full council by-election results each week by email if you sign up to my blog post digests. 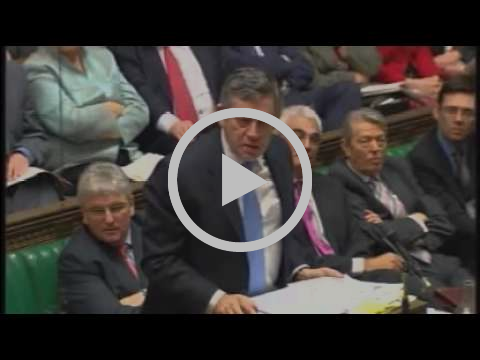 Stalin to Mr Bean: here’s the exchange at Prime Minister’s Questions between Vince Cable and Gordon Brown in 2007 that did so much to propel Vince Cable to national attention. I hope you enjoyed this edition of Liberal Democrat Newswire. 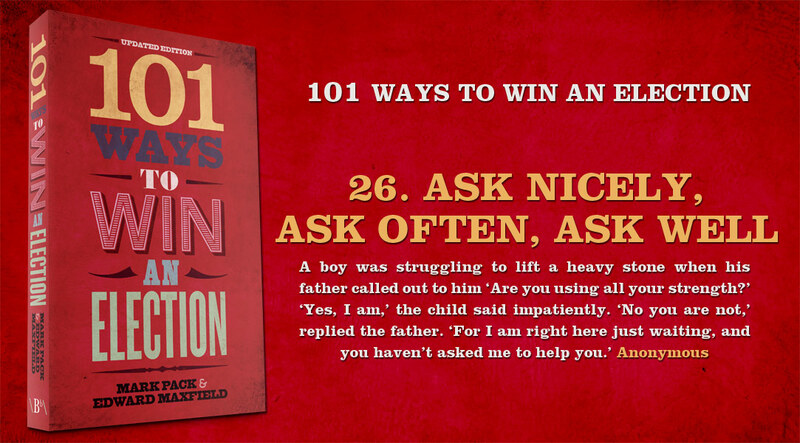 If you did, please do forward it on to other people you know who might enjoy it too.